Looking for a place to play Bitcoin Poker? We have looked into Limoplay.com for you and here’s what we found out. First, the games loading screens take a while to load compared to other gambling websites that are almost instant. The website is not as “friendly” compared to other Bitcoin gambling websites. And the game screens are “restricted” for my taste. However, they do have 22 Poker games to choose from. Here are a few games that we’ve looked into for you. Stake – 0.2, 0.5, 1, 2 , 4 , 5, 10, 20, 30, 40, 50, 75, 100, 150, 250 and 500. The game starts right after you choose your own Stake. You will be playing against a computer player. This means that you will not be playing against the house. This also means that you are able to raise the Stake if you feel that your card is strong enough. The dealer will give 2 cards each and place three in the middle. You are able to Raise the pot in between the cards and river. Ante – Choose from 1,5,25,100 and 500 chips. 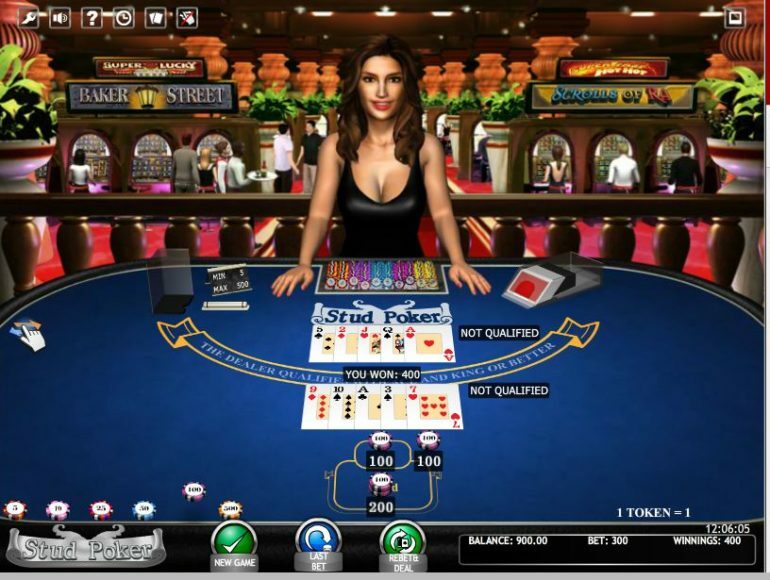 The game starts by choosing your Ante and deciding whether you want to add an additional Bonus bet in the middle. Minimum for the Ante is 1 and maximum is 500. For the Bonus Bet, the minimum is 1 and a maximum of 50 chips. If you win the Bonus bet you will get 2x the amount you placed down. So the game plays like a normal three card rummy. Who gets the lesser number of cards wins the game. You can read more about the rules here. Ante – You can choose from 5, 10, 25, 50, 100 and 500 chips. 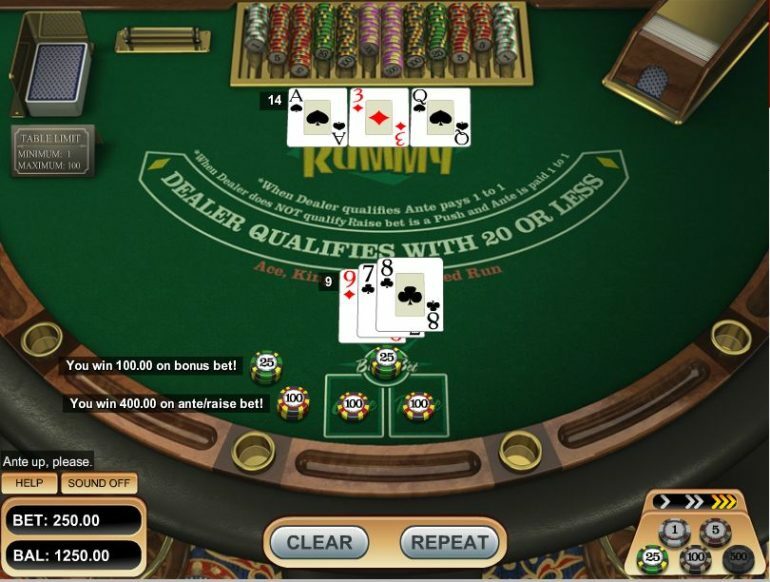 You start the game by choosing your Ante and the dealer will give you five cards. The dealer will, of course, show one card faced up in the middle for you. At this point, you can either Pass or Raise; if you choose to Pass the dealer opens up four additional cards. If you choose to Raise, you double your bet and the dealer opens up the rest of the cards. Ante – You can choose from, 10, 25, 50, 100 and 500 chips. You are able to activate gestures for this table. Click here for more details. The Maximum bet is 500 and minimum is 5 chips. To start the game you need to choose how much you want to bet and place it on the table. 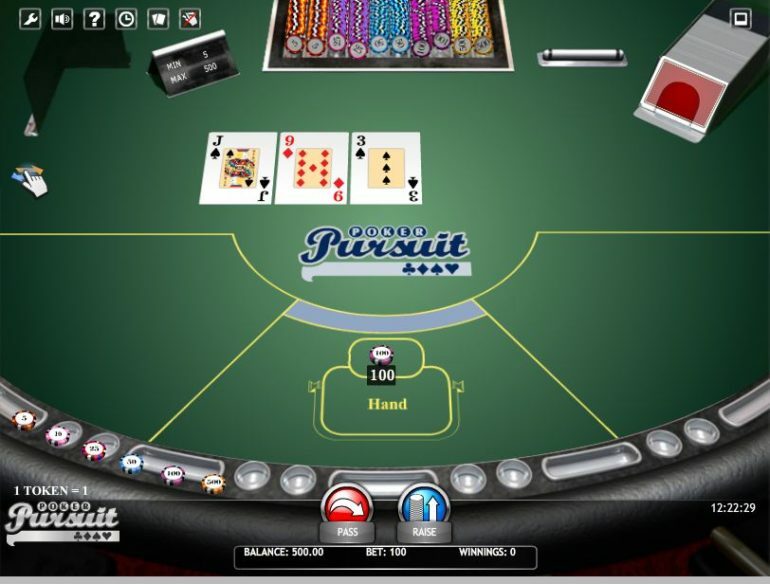 The game will start once you have decided how much you want to bet and three cards will be drawn from the deck. You are able to choose from either Pass or Raise to open up extra two cards. Choosing Pass will keep your current bet and Raise would up your Ante depending on your original bet. If you have a 100-chip bet then every time to click on Raise this would add an additional 100 chips on the table. The maximum is two Raises; total would be 300 if your main bet is 100. You can read more about the rules of the game here. You start the game on how many cards you want to play with as well as the hands. You can choose by clicking on “Bet One” to scroll through the odds that you want to go with. Once you have decided, the machine will deal you five cards. At this point, you are able to hold cards that you want to keep and let go of the cards you think are weak. If you win you will be given the chance to play “Double Up” or not. If you wish to play, you need to have a larger card than what the dealer has to double up your winnings, the dealer takes all if you lose. 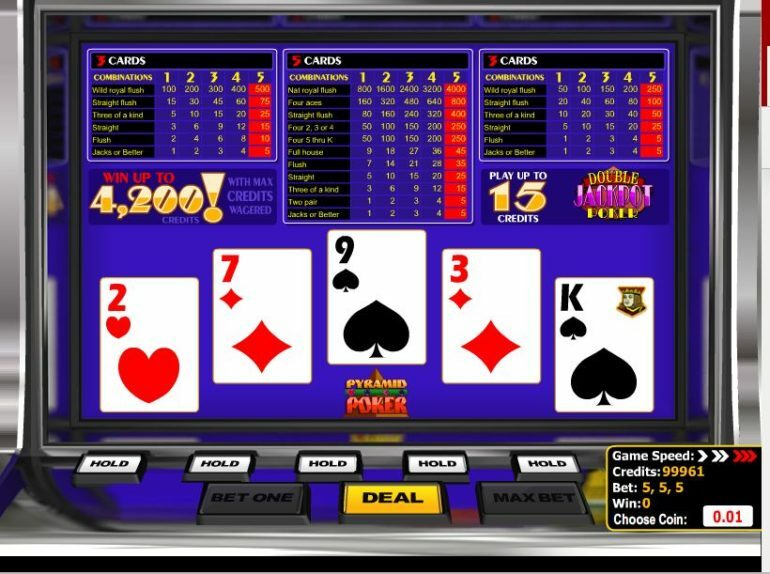 To get a full list of available Poker games, just click on this link. 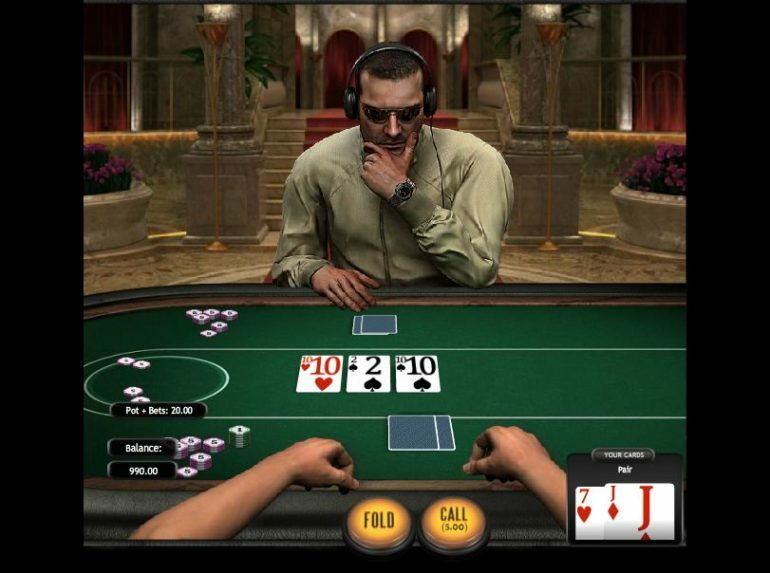 When choosing a website to play Poker for Bitcoins I would always make sure that the website is, responsive, professional looking and of course comfortable to play at. With Limoplay I had problems with the points that I have mentioned. The website loads slow, for me it isn’t professional and with these two factors, the website made me feel uncomfortable. Remember that you are playing an online Casino, it should look and feel like the real one even if you are just playing in your own comfort.